Delicious brownies that are vegan, gluten free, and only sweetened with maple? How can that possibly be? Well, I took it upon myself to do the "hard" work of eating my way through multiple brownie recipes over the past few years, and this is the one that won, and is the only brownie recipe that I make these days. This post is a freshened up re-do of one of my posts from 2014. Same recipe, new photos, and shaped like brownies this time. I've been enjoying these the past few months, as a delicious way to satisfy a craving for a decadent chocolate dessert. These brownies are DENSE, FUDGEY, and CRUMBLY in the best possible way. Absolute perfection with a cup of coffee, and they don't leave you feeling gross after. Double win. Get bowl #2 ready: I sifted all the ingredients into the bowl together through a sieve, but you could always just whisk with a fork. Get bowl #1 part 1 ready: add the cocoa powder, salt, cinnamon, and chocolate chunks. Get the rest of Bowl #1 part 2 ingredients ready to go (oil, maple syrup, maple sugar, vanilla, coffee). I usually just line them up on the counter, opened, so they will be easy to add in. Add the boiling water to bowl #1 (part 1), and stir with a spoon until it gets all icing / fudgey like - not runny - but all mixed together into a heavenly chocolate paste. Most of the chocolate should melt, but if there are a few pieces left, no biggie. Then add in the remaining Bowl #1 (Part 2) ingredients, in the following order: maple syrup, then the oil, then the maple sugar, then the vanilla, then the coffee. Into this mixture, stir in Bowl #2 ingredients: the flour/flax/baking powder mixture. Add in any extras such as nuts or chocolate chips. The batter will be really thick, not runny in the slightest. Scoop out some batter, and drop into a parchment lined baking dish - I used a glass 15" x 10" pyrex dish (my preference) or lined muffin tins. Using your fingers, hands or the back of a spoon, press the batter down into the pan or muffin cup. Bake for 30-35 minutes if using a pan, and 20-25 minutes if using a muffin tin. They are done when a toothpick comes out clean. If you use alkalized cocoa powder, then use baking powder. WAY back when this year, I made a delicious treat for Easter. It was a super dense, hearty carrot cake, made with a variety of healthier baking ingredients. I topped it off with a delicious lemony cashew frosting. This recipe will create a cake that is almost like baked oatmeal, so please expect a super dense, hearty cake - not a fluffy, light, blood sugar crashing kind of treat. If you want to have a super duper healthy "I can eat this for breakfast" kind of cake, or simply a healthier way to indulge, please give the following recipe a shot and let me know what you think. Personally, I was mega pleased with it, and I had to stop myself from just spooning the icing directly into my mouth. 1/4 cup maple syrup (makes a very minimally sweet cake! you could double or triple this amount if you'd like it to be more sweet). Mix dry ingredients together in one bowl. Mix wet ingredients together in a separate bowl. I whisked it all together with a fork. Grease a pyrex dish ( I used an 11x7 one, greased with coconut oil). Add dry to wet, and mix together. Pour into pyrex, and smooth with a spoon. Cake will firm up more once cooled. The consistency of this cake will be a LOT like baked oatmeal. Juice of 1 whole lemon. Blend all ingredients until smooth and creamy... it seems to get creamier the longer you blend it. You can add a splash more of water or maple syrup if you like, or try adding in a couple of soaked dates instead of maple syrup. Place frosting in fridge and let firm up a bit while cake is cooling. Once cake is completely cool, slather it in the icing, and keep in the fridge until serving! I personally think the cake tasted even better on the second and third days. Happy Eating! Happy MACRO TREAT FRIDAY (MTF). It's been awhile since I posted a sweet treat, and Christmas is almost here, so a cookie recipe seems appropriate. I wasn't sure if I should call these gingersnaps, ginger molasses cookies, or gingerbread...so let's mix it all up and call 'em gingerbread cookies. Delicious, whatever you call 'em. Wholegrain. One bowl. Super Simple. Very light on the oil. Lightly sweetened with maple. Makes about 16 small gingerbread cookies. See other possibilities at the end of the post. 1 TBSP olive oil or other vegetable oil of choice. 4 TBSP maple syrup or brown rice syrup. Mix flour and spices together in a large bowl. Grate ginger. Add to bowl. Add to the flour: oil, maple syrup, blackstrap molasses and water. Mix together with a fork. Wet hands (this is key!!) and roll into small balls, about 1/2 ". If dough is just too sticky after trying with wet hands, don't be shy to sprinkle in a bit more flour. If desired, roll in maple sugar. Place on parchment paper. Bake until lightly browned on bottoms, about 12 minutes. Let sit for 5 minutes and then move to a wire rack. Let cool completely, and enjoy! Store in an airtight container. *Also, if you like bigger gingerbread molasses cookies, then I'd recommend making 8 larger balls instead of about 16, and let cook for the same amount of time for really chewy cookies, and a few minutes longer for a bit crispier ones. * And, for your viewing pleasure, here's a video of my class and I making these cookies together, during a Macrobiotic Sweets Class I taught earlier this December, where we made these cookies! I have been so honoured to teach a few Macrobiotic nutrition classes per month at the lovely Templed Mind Studio here in Victoria, and this clip gives you a sneak peek into their delightful studio. 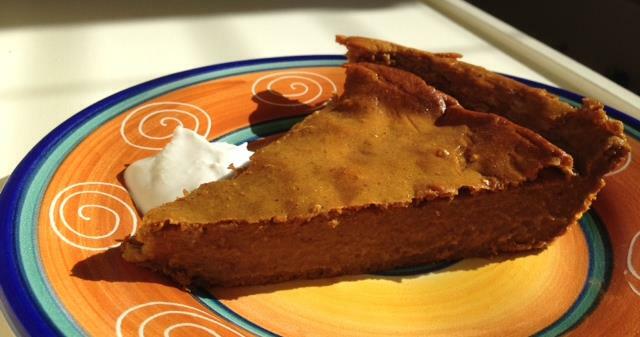 MacroTreatFriday (MTF): Pumpkiney, pumpkin, pumpkin! If you read anything related to food, no doubt you've been swarmed lately with pumpkin everything. Drinks, treats, soups, casseroles, you name it. I can't really say I'm that sad about it. I do love pumpkin in cooking and in baking. I use pumpkin year round, but there is something extra lovely about it, at this time of year. So, without further ado, this Macro Treat Friday post is a Dainty Pig round-up of all things to do with pumpkin, that I have posted on the blog over the years. ALL of these treats are vegan, whole-food based and use natural ingredients. Most are gluten free friendly, and are in tune with Macrobiotic principles. And, I also have a whole bunch of tips and tricks for selecting winter squash, the differences in the types, how to perfectly bake squash every time, and some recipes using all kinds of winter squash in your meals. Also, I am super happy to announce that I'll be teaching another class next week, Friday the 26th, at Templed Mind, on Macrobiotic Sweets - finding sweetness within the Macro lifestyle, and how to make some tasty treats - great tips for the upcoming holidays. Class info is HERE. Hope to see you there! What's your favourite PUMPKIN treat? Happy day, weekend, baking, life, you name it. Sending some love your way. It's been a busy start to the Month, and so today I'm sharing with you a repeat (reEAT more like it) recipe for MacroTreat Friday! I made THIS RECIPE that I posted awhile ago...but I used tahini in place of the sunflower seed butter. Super yum! Tahini almost tastes like peanut butter. Truth. To make them gluten free, use gf oat flour. I used all oat flour, and no oat flakes this time, and these cookies were way to easy to make (mere minutes), and even easier to eat! I put a few dark chocolate chips in some, and left some plain. It was my birthday this week (29th birthday), and to celebrate I wanted to indulge my recent random craving for something cheese-cake-ey. Usually I'm all up in the chocolate cake for my birthday, but not this year. I have had delicious and wonderful baked tofu cheesecakes before, but I wanted something super dense and rich, and didn't feel like using the oven. So, with the help of the handy vitamix I was able to borrow (pretty wicked machine - don't want to give it back) , this delicious cake was born, and the recipe was destined for a MacroTreat Friday (MTF) post. Make the crust: In a highspeed blender or food processor, combine the almonds and hemp hearts until they are crumbly (not butter). Add in the maple syrup and coconut oil, and blend again until combined. Line a 6" tart pan or springform with parchment paper. Press crust into bottom of pan. Make filling: Drain and rinse soaked cashews. Add to blender, along with all of the other filling ingredients, and process until very smooth. Add a little more milk if needed (I ended up adding about 2 TBSP more). Make Raspberry swirl: add in all ingredients to blender, and blend until smooth. Pour on top of cake, and using a fork, swirl it around to combine. If you use less raspberries, you'll get more of a swirl look. I used quite a few (yum!) so I ended up with a pink layer. Put into fridge overnight. If you have toothpicks, I'd recommend putting a few in around the edges and covering with plastic wrap. You can also place in the freezer to set faster - I'd guess about 4 hours or so. [in the end I put mine in the freezer to firm up, it wasn't quite as solid as I wanted the next morning]. Bring out of fridge or freezer and let sit for about 15 minutes before you cut + serve. It was really, really good, and hit my lemon + berry craving straight on the nose. Do you like raw or vegan cheesecakes? What's your favourite recipe? It's Friday! This weeks' treat is a little unusual - no cookies or muffins or squares or cakes (don't worry, soon enough more of those yummies coming your way!). Instead, this week's treat is a golden-ey delicious paste that you can add to a milk of choice, and heat up for a little bed time treat. This is a treat for your body, and has the bonus of making your house smell wonderful, whenever you make it! It was SO pretty to make! Tumeric has been touted for centuries for it's healing properties, and perhaps is most known for its anti-inflammatory properties. STEP #1: First, let's make tumeric paste! 1/4 cup tumeric powder (get a high quality brand, organic if possible). Add water to a small saucepan. Cook over medium - low heat for about 7-8 minutes. Stir frequently while cooking. You want the paste to be a nice paste that is quite runny - not super chunky - so you may need to add in a bit more water. Watch for it bubbling over. Store in a sealed glass jar in the fridge (wait until it's cooled to put in fridge). Mine lasted ~2 weeks until it separated (not sure just how long it'll last, but I would imagine about this time length). 1 cup milk of choice (I've tried with rice and almond). optional sweetener to taste (I'd say between 1tsp - 1 TBSP pure maple syrup or honey). Add about 1 cup of milk of choice to a small saucepan , and stir in a heaping teaspoon of tumeric paste. Heat on stove over over medium - low. Stir often. Once tumeric paste is completely dissolved, add in oil (if using). If using maple syrup as a sweetener, stir into milk as well. Remove from heat, let cool slightly and enjoy! Top with a sprinkle of cinnamon, if you like. *If using honey as a sweetener, I'd stir it in after you've removed from heat. I haven't done so yet, but I imagine this paste would be a killer addition to any kind of lentil stew, or curry, or stirfry! Do you use tumeric in your cooking? Have you tried golden milk before? It's good. It's really good. It's for sure Macro Treat Friday (MTF) approved. This cake got the 2 thumbs up from T, who enjoys cake that tastes more like cake than something really healthy. I was super happy because the texture reminded me of a cake we enjoyed as a family when I was growing up. It felt truly, like a treat. In any case, it's chocolate cake. It's good. There is a fair amount less oil and sugar (in fact, no sugar, just maple syrup) than traditional chocolate bundt cakes, making it more macrobiotic friendly, and of course it's vegan. This is a great cake for special occasions! If you don't have a bundt pan, don't worry, you can also bake this in a "9 x 13" inch pan too. 3/4 cup oil. I used sunflower (and I also tried with 1/2 sesame & 1/4 EVO blend), but avocado or grapeseed would be good too. Heat oven to 350F. Oil a bundt pan. Feel free to lightly flour or cocoa the pan as well (I haven't tried that yet). In a separate bowl, mix wet together, and add to dry. Stir together until just combined. It'll be a really runny batter, but don't worry, and don't overmix :) lightly stir in the nuts and chocolate chips, if using. Bake for 45 - 55 minutes. Check with a toothpick at 45 - mine usually takes 55. If baking in a 9 X 13 dish, it will take less time - check at 30 minutes, if not before. Let rest for at least 10 minutes before inverting (says the directions that came with my bundt pan)...but I've read that it's best to place the bundt pan on a wire rack, let it cool completely, then tap a few times before inverting. If you desire, you can try some of the frosting suggestions below! I have enjoyed it both with, and without frosting. Using an immersion blender, blend 2 package of lite silken tofu with 4 TBSP maple syrup, and 2 tsp vanilla until very smooth. Place in the fridge for a few hours to let it firm up. I haven't used this on the cake yet (but I have on other treats), so you might need to make even more to cover the whole cake. Melt 4 oz. very dark or semisweet chocolate in a double boiler with a tablespoon of coconut oil. Add in 1 tsp vanilla, and up to 1.5 cups of confectioners sugar (to sweetness). I have made once before, my own "maple sugar icing sugar" by blending in a highspeed blender maple sugar until really fine and powdery. It worked - not quite as well, but it did. Pour over cake / spread over cake while while glaze is warm. Let glaze cool and harden before serving. This one is straight up delicious - but very intense - decadent, sweet and rich.